If you’re one of the many Canadians who loves to play our national game, you know that hockey is a physically demanding sport. Physiomed can help you develop the power and endurance you need to excel. We’ll begin with a whole body physical assessment, with a focus on the strength, mobility and stability that hockey demands. We’ll then develop an individualized program that combines therapeutic treatments and sport-specific conditioning to help you improve your hockey performance. 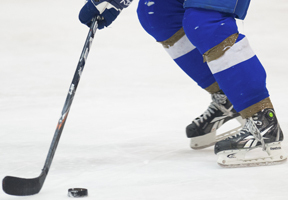 If you play hockey, Book an appointment today and let us help you get in peak condition for the game!